With over 20 years of strength training, martial arts and nutrition experience, Steve posses a wealth of knowledge about the human body and the proper nutrition required to keep it running at an optimal level. His journey started with strength training as a teenager, and then he began studying the art of Brazilian Jiu-Jitsu in his early twenties. As his training progressed, he entered the world of mixed martial arts commonly known as MMA fighting. Steve had a brief amateur career and became a professional MMA fighter in 2010. During that time, he continued his strength training and conditioning as well as maintaining his energy and nutritional requirements as a competitive athlete. He graduated from Georgia State University with a Finance degree and began his career as a financial analyst. While avidly continuing his training in martial arts and weight lifting in his spare time. As his finance career progressed, he realized that he wasn’t happy sitting at a desk all day. Steve decided to follow his passion and embark on a fitness career. Wanting to push his martial arts prowess even further, Steve incorporated freestyle wrestling, western boxing, and kickboxing into his training. After a few years of training these various arts, he eventually became a professional MMA Fighter. Steve is an award-winning martial artist who now holds a black belt in Brazilian Jiu-Jitsu as well as a 3rd khan ranking Muay Thai. He has also been practicing freestyle kickboxing for over 12 years. Steve now uses his wealth of knowledge and experience to help people restore their health through exercise, proper nutrition and posture correction techniques. His no-nonsense approach of what works with an emphasis on basic techniques have been proven to work overtime check out his testimonials. His overall philosophy on the body and nutrition is a holistic approach. Steve is a vegan and encourages a whole foods diet free of processed foods and preservatives. Eating healthy allows the body’s internal mechanisms to keep it running the way it was intended. He uses that same mentality while training whether it’s to get his clients in better shape or learning self-defense. Steve believes that if you are looking within oneself allows us to discover everything we need to prosper spiritually, mentally and physically. There is a saying in the fitness industry that a six-pack starts in the kitchen. No matter what your fitness goals are, your diet is going to be about 80% of your regimen. Don’t worry Steve has you covered. He provides every client with nutrition counseling during their journey. A company that sweats til they’re exhausted together stays together. We bring physical activity to your office with cardio conditioning, boot camps, and strength. We offer various self-defense workshops tailored to your organization’s needs. If you are trying to build group camaraderie or want your employees to be more mindful in certain situations, we will develop a seminar unique to your group’s needs. The Dallas boot camp is a great way to feed off the energy of your other members and to push yourself beyond what you think capable. Kickboxing is at the end of all our boot camp sessions. Get together with a group of your friends and train when you want and how you want. Steve is an incredibly versatile trainer who specializes in martial arts, strength training, and conditioning, posture realignment and nutrition. 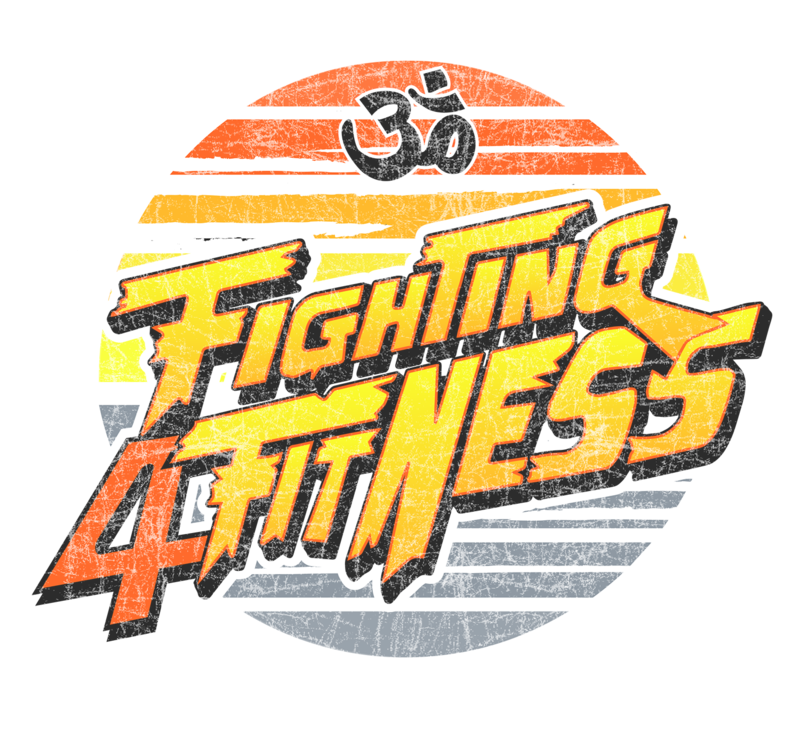 Fighting 4 Fitness is here to inspire you to lead a healthier and happier lifestyle. Whether you are a corporation, personal or group training client we will Teach you to become a better version of yourself through fitness and martial arts.